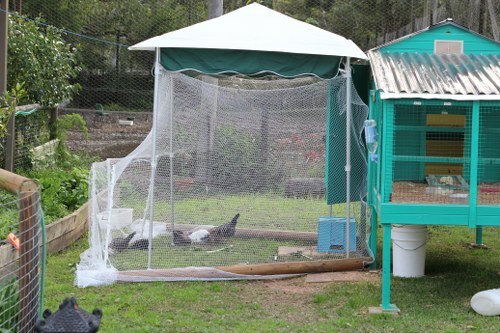 The ground finally dried out enough to raise the chicken free ranging tent again. I went off to the gym and the other half got creative while I was gone.. It took ages to tempt the girls out. 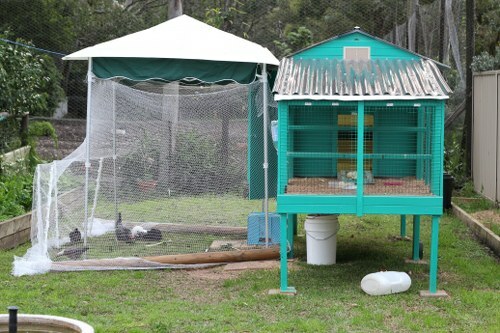 Greens which usually incite a chicken riot were gazed at from the doorway where they felt safe. Finally the other half helped them out with the scary rake from behind trick. Once they were out, they started digging and scratching. This was the first free range outing for Nugget (AKA Rosecomb) and she had no clue what to do. 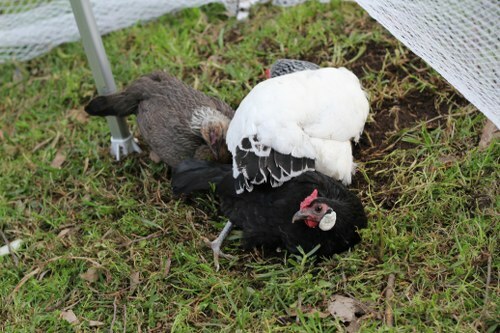 She doesn’t know how to scratch like a regular chicken or how to create a hole in the ground to dustbathe in. After watching the other girls for a bit, she tried dustbathing without any dust, just on the grass. They got to stay out there for several hours while I weeded the garden. 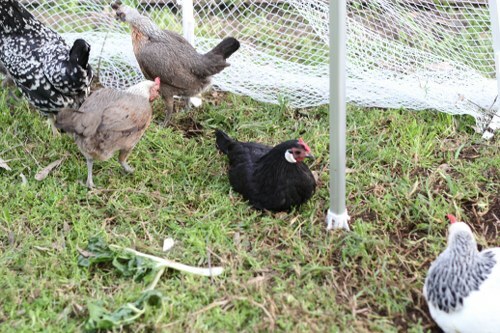 Getting them back into the coop was just as difficult as getting them out of it in the first place. They wanted to stay out but a thunderstorm was on the way, so the other half herded them back into the coop.